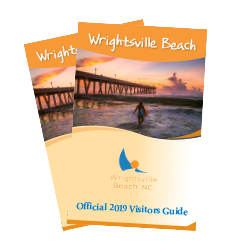 Deck the halls this holiday season with a getaway to Wrightsville Beach. The island town invites you to experience parades like you’ve never seen before, festive runs, local bites and delights, as well as gardens that will keep the magic of the season alive into 2019. Christmas parades look a little different at the coast – the floats actually float! Celebrate a non-traditional Thanksgiving and kick off the holiday season at a Southeast Tourism Society Top 20 event: the 35th Annual North Carolina Holiday Flotilla at Wrightsville Beach on Nov. 23-24. The weekend-long event invites visitors to enjoy a tree lighting, daytime festival full of arts and crafts, contests, food, children’s play area, and the finale: the lighted boat parade and fireworks. This is a spectacular event you won’t want to miss! Stay active this holiday season with festive runs around town. Participate in the annual Wrightsville Beach Turkey Trot on Nov. 22 and not only burn off those pre-turkey calories, but support Habitat for Humanity to build homes. For a jolly good run, sign up for the Jingle Bell Run on Dec. 8 where entrants run in their holiday best and enjoy scenic Wrightsville Beach views. Feel the magic of the holidays in a sparkling garden during Enchanted Airlie, Nov. 23-24, Nov. 30-Dec. 1, and Dec. 7-22. Airlie Gardens transforms into a majestic wonderland with over one million lights, holiday décor and flowers that illuminate the night. Cheers the season with a coastal delight that will have your taste buds churning. Enjoy your morning cup of joe while tackling holiday jewelry shopping at The Workshop. Then, take in scenic ocean views before an oyster dinner at Shark Bar and Kitchen and a sunset stroll along Johnnie Mercer’s Pier.